What sailor hasn’t imagined or read about the adventure of sailing offshore: The big blue water, ocean wildlife, and new cultures and landscapes waiting at the other end? For sailors with the courage, skills, and confidence to make the jump from inland sailing to the offshore scene, the rewards are many. 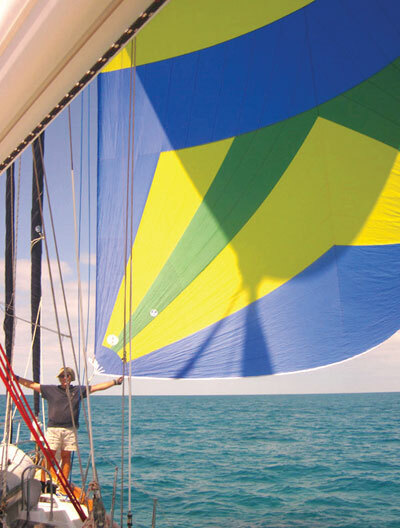 In this final installment of our three-part series on preparing to sail offshore, we offer some guidance for cruising sailors ready to take the leap. 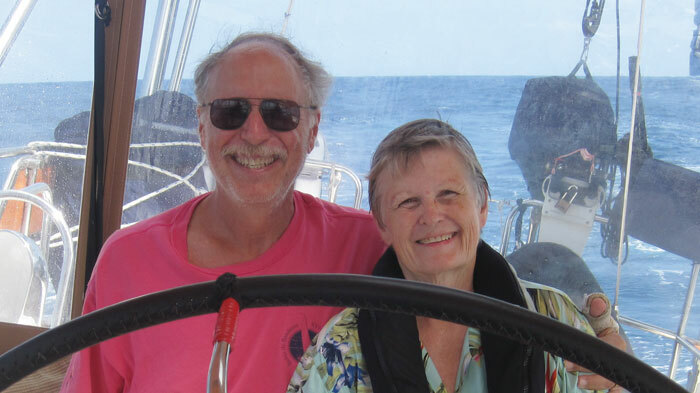 For expert advice we reached out to a very experienced bluewater cruising couple, Charlie and Cathy Simon, who suggest taking baby steps, gradually increasing your knowledge, skills, and experience, and in turn your level of preparation, equipment, and size of vessel. 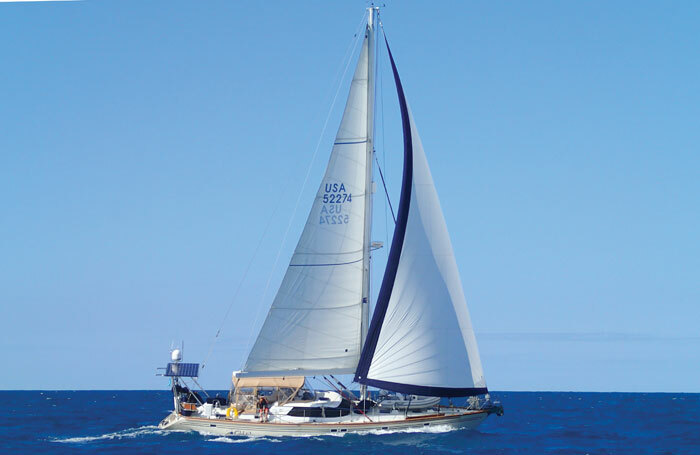 The Simons, now world circumnavigators, have been sailing together for 40 years. Although they’ve completed many challenging passages, the couple started sailing together by enjoying day sails in Washington state and California. Now located on the East Coast, they are based in Annapolis for the sailing season and Fort Lauderdale during the winter. 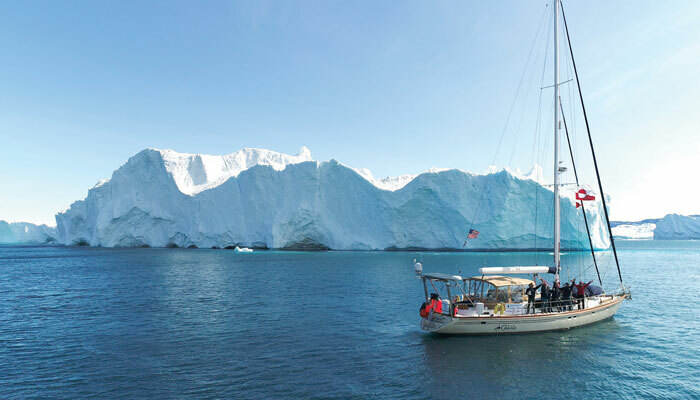 Since retiring 15 years ago, they’ve spent most of their time cruising, to include completion of the fabled Northwest Passage. “Build your confidence gradually,” says Charlie. “My first trip offshore, which seems small now, seemed mammoth at the time. I was in my 20s and sailed from Fort Lauderdale to Bimini in 1976. “In our area to prepare for a short trip offshore, a weeklong cruise in the Chesapeake Bay should give you plenty of opportunity to learn a lot: what gear you need, how long your batteries hold a charge, how long the instruments last, and the best way to get a good night’s sleep. "At that point, you may be ready for the next step: a short trip offshore. There you’ll find out more about your boat and whether you get seasick.” As you continue to take the next step and the next, you may need or want a bigger boat. “Although people do it, I wouldn’t recommend going offshore in anything smaller than a 40-foot boat,” says Charlie. “You will likely make a progression something like this: coastal cruising or a DelMarVa rounding, a passage to Bermuda, and then maybe a trip around the world, as we did. As you would expect, our Arctic trip took the most preparation of all. But for a 50- to 100-mile trip, preparation isn’t too much of a problem. With each new step, you will add to your boat,” says Charlie. Among the equipment and gear needed to get started are: good offshore life jackets, jack lines and tethers, a dinghy or life raft, ditch kit, auto helm, charts (electronic and paper), a range of clothing (it’s colder on the ocean, even in summer), flares (you will need leather gloves and goggles to deploy the flares), and reliable communication and radar, such as a SAT phone and AIS. Add more equipment as you go farther. You may eventually need to upgrade your life raft, add a cockpit enclosure, add a freshwater maker, and more. Read more about preparing to sail offshore in parts one and two of this series.